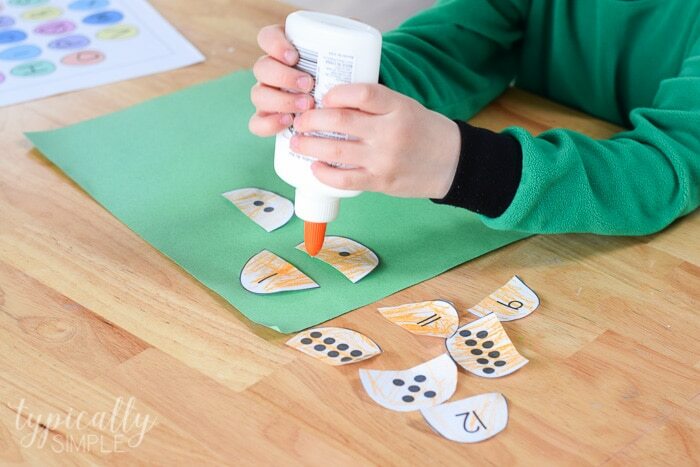 These printable Easter eggs will help make counting and practicing math skills extra fun! 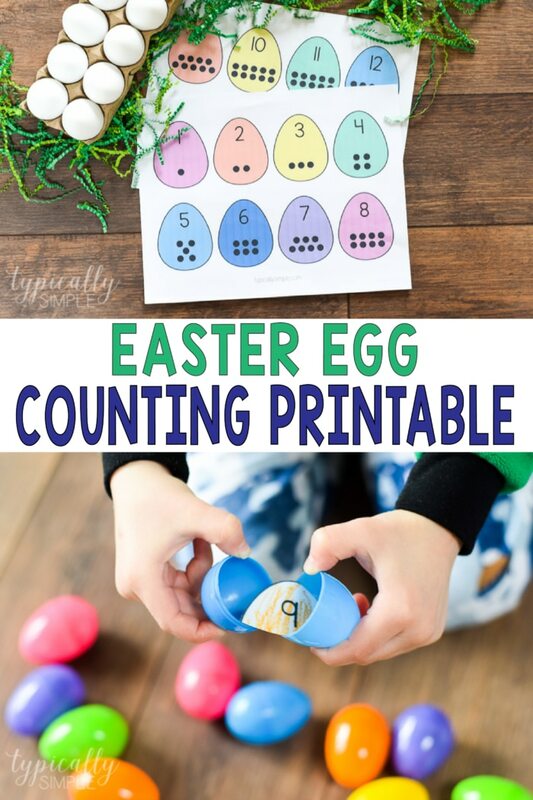 From egg hunts to cutting the eggs into puzzle pieces, there are so many great activity ideas using this Easter Egg counting printable. 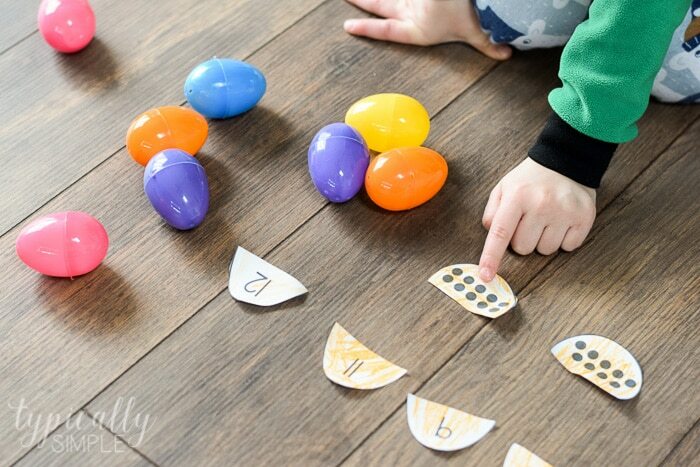 The number eggs are also easy to adapt to different levels of learning. 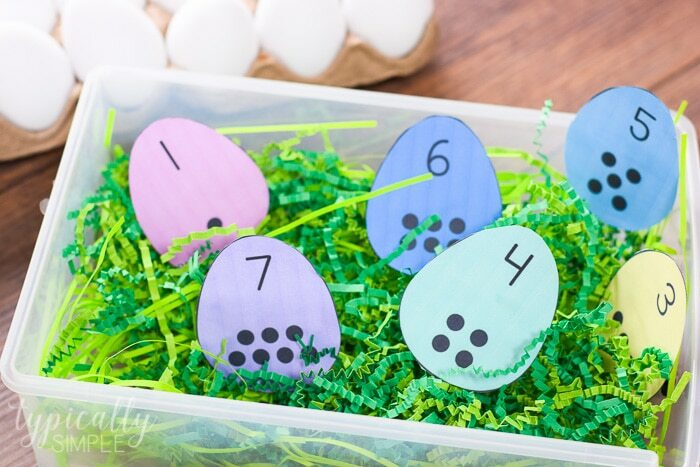 Whether your kiddos are just starting to learn their numbers and counting or are moving onto adding and subtracting, these eggs can make learning fun! 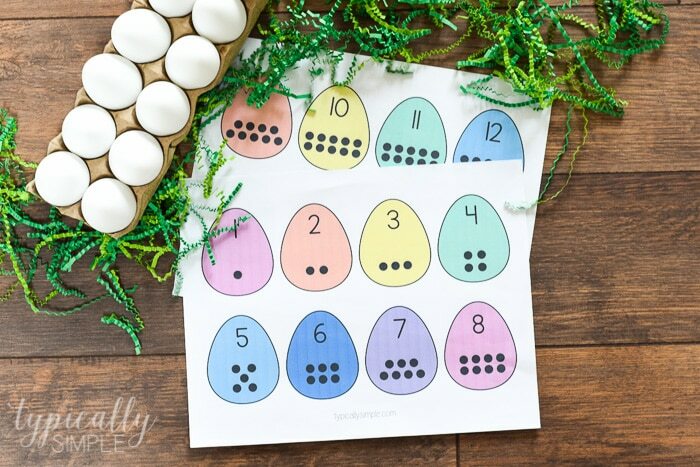 We had a lot of fun sitting down together and planning an activity using these eggs. 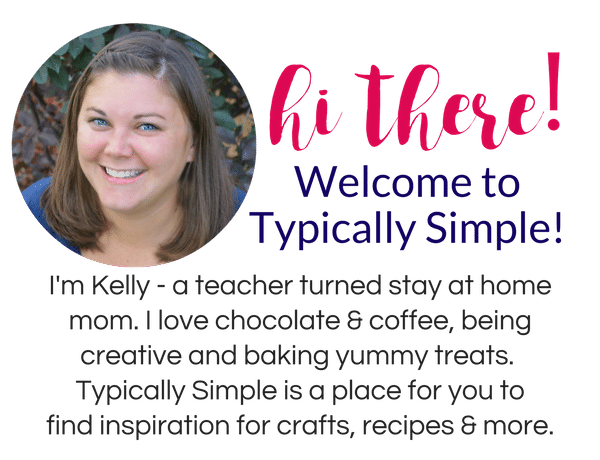 This was a great opportunity for some self-directed learning. 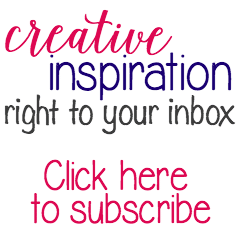 We decided to use the black and white copies of the printables and spend some time coloring them. All of the eggs ended up orange because that’s the little guy’s favorite color, so of course it made sense to make them all orange. 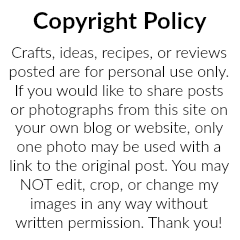 After Q spent some time cutting out the whole eggs, I cut them in half to make puzzle pieces. Then I placed one half piece in a plastic egg to hide. 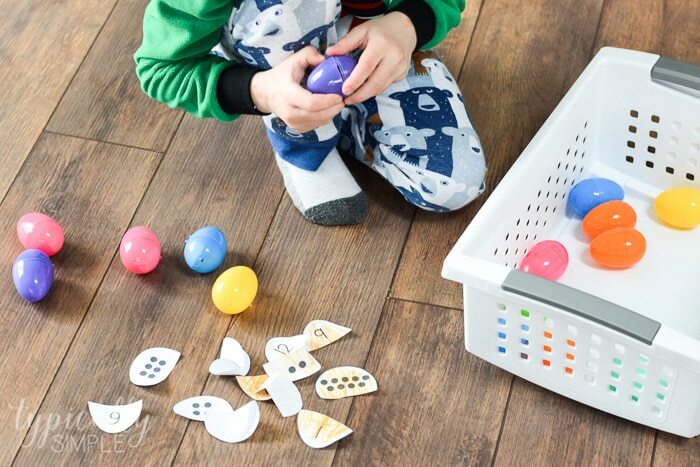 Once Q found all of the eggs, he opened them up and started sorting the puzzle pieces. We practiced one to one correspondence by counting the dots on the eggs. I was fine with the activity ending here, but it was Q’s idea to take it further by gluing the eggs together on a piece of paper. And since it was his idea, he was more excited to finish it than if I had told him to do this part.